Hi, guys! Miccostumes Member’s Day is right here! Have you checked it out? Here’s everything you need to know about the Miccostumes Member’s Day. Some of you may have received our email with our VIP exclusive coupon code, Miccostumes APP Members can enjoy the deals priority! 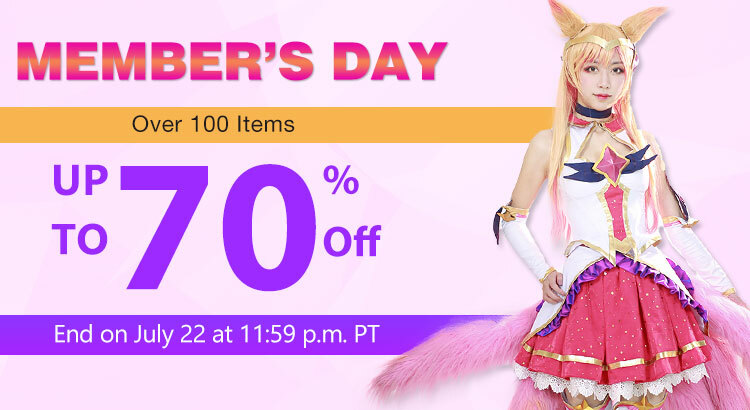 Deals on Miccostumes Official Website would start on July 18, at 12 a.m. PT. You will find sales up to 70% off select items, pre-order deals for those popular new arrivals, and more. All deals end on July 22, at 11:59 p.m. PT. What’s more, here are giveaways on our Facebook and Instagram.